There is progress on the vest! I like how the pearls are working on this. I'm using size 15 beading needles for the little 2mm freshwater pearls. 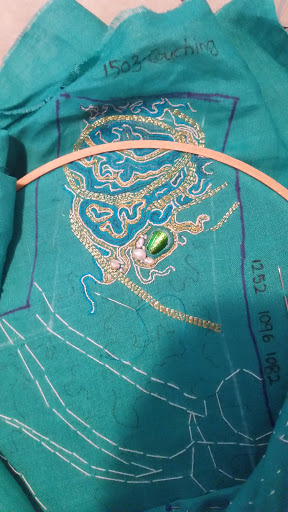 and for the rest of the embroidery, I'm mostly using size 12 quilting needles. It's a lot of fun.